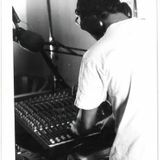 Dakta Dub is India&apos;s very own international artist who started DJing in Budapest, Hungary with Tilos Radio 90.3 fm, one of the biggest underground radio stations in Europe. His music is an eclectic blend in terms of Tone and Timbre and soul. Rooted in Indian and dub music influences, Dakta is a True Rasta in Belief. His sets travel through a dimensions from down tempo to groovier floor hitting tunes from various genres of music.